I don't like paying tax. Who does? I argue constantly against increasing Council Tax at meetings of Thetford Town Councils Finance Committee - a significant number of people that I represent have little spare cash and Council Tax bills represent a big chunk of total monthly expenditure for many. You may be surprised therefore that I have discussed with my Labour colleagues on Breckland and agreed that we should support the proposed increase in Breckland's share of the Council Tax. As I explained to the EDP, it is a necessary measure to avoid a level of cuts across the District that would be very severe. Percentages can be a tad misleading, as a 7.8% increase whilst it sounds a lot - against a backdrop of "freezing Council tax" or rises "capped at 2%" - will still only equate to a yearly rise of £4.98 for a Band D property. Many Norfolk and Suffolk Districts already charge over £100 per property, so the Breckland level still represents good value, and I do not believe in cheap party political point scoring so I will not criticise the Councils Conservative administration for this. However, can you imagine if there was a Labour Government in charge at the moment? Every Council up and down the country, Breckland included, would be complaining constantly about the "Labour Government" and their cuts to essential Council services. We do not have a Labour Government currently, we have a Conservative led one, and their cuts to Councils have been absolutely extreme - a level unimaginable under a Labour Government. This has forced Councils to make cuts to services that many would have regarded as untouchable. Is there widespread criticism from Conservative Councils? of course not, although some have broken ranks and spoken out. Some still keep peddling the absolute nonsense that "this is all Labours fault" - a line that fades ever more as we move away from the 2010 election and the myth slowly unravels. 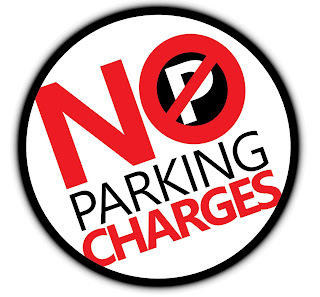 For all the noise about "Breckland listening" and "showing leadership"(George Freeman MP) in relation to car parking charges, it is clear that this decision is thanks to the people. Breckland Labour Group teamed up with hundreds of local residents, businesses and other organisations to co-ordinate a petition that attracted over 15,000 signatures. Watton Chamber of Trade collected over 5,000 in addition to this. That's over 20,000 opposing the introduction of car parking charges - that's more than voted Conservative in the May 2011 elections in Breckland. It would have been electoral suicide for Breckland to introduce car parking charges - and they know it, which is why it was abandoned. Comments to EDP in full: "I am delighted with the news regarding car parking charges. This is something the Breckland labour group fought very strongly for as this would have a massive detrimental effect on our towns. It is disappointing that so much money and time was wasted on such an ill-conceived idea. The level of council tax increase proposed will be disappointing for many, but it was something that was consulted upon and it is a necessary measure to prevent even further cuts to essential services. The way in which this Conservative led government is starving local councils of vital funds whilst granting a tax cut to millionaires is frankly outrageous."